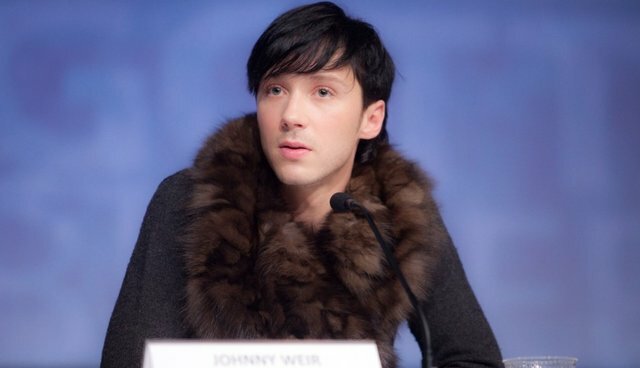 NBC To Johnny Weir: No Fur! Johnny Weir, who has made fashion-watching as much a reason to tune in to Olympic skating as the skating itself, said that his wardrobe was actually limited by one requirement: no fur. NBC explicitly requested that the former skater-turned-commentator forego fur, he told Access Hollywood this week. "We've been having conversations since the fall about how I was going to appear in Sochi," Weir said. "They said go for it, do whatever you want, just on our air, no fur. And that's something I can understand. I don't think it's really appropriate." Dan Matthews, Senior Vice President at PETA, applauded the move in an op-ed for The Huffington Post, saying it "shows how public taste has progressed since PETA became a force, with legions of people writing networks about fur-wearing personalities." Weir has been wearing fur during his down time in Sochi, though, and says that wearing fur symbolizes that he's "made it." But PETA hopes that Weir will join the ranks of other celebrities who've renounced fur altogether, including Eva Mendes, Martha Stewart, Tim Gunn, Pamela Anderson and Wendy Williams.